If the customer doesn't like something, businesses usually do something about it, if they can. The NBA is a perfect example of looking to satisfy customers, though sometimes they are slow to react, but nowhere nearly as slow as horse racing. I remember the ABA. Besides being known for their psychedelic fake basketball and the great Dr. J, they were way ahead of the curve as they introduced the 3 point basket in 1967 when their league formed (It was actually introduced by the very short live ABL in 1961). The rule made a lot of sense, giving a team the ability to make a long dramatic shot to win or tie a close game, and even as a teenager, I thought that when the ABA merged with the NBA, the three point shot would be part of the merger. It took another 4 years for the NBA to bring that extra bit of excitement to their league, but the point is that they did it. Lately we've seen quite a few tweaks from speeding up the game to taking away plays that exploited the rules (like the Hack-A-Shaq tweak that came into effect a year ago). They still have to figure out how to handle the three point foul lean in, but that is tough nut to crack, but they'll get to it, because customers don't like it. The last two minutes of the game were starting to get infuriating. Way too many timeouts were being called. I believe it got progressively worse the past few years. In a close game, there was pretty much a timeout every time the ball changed hands. It almost became a gimme that a timeout would be called after a made basket. From a customer's perspective there was no flow, it took up to a half hour to watch 2 minutes, and that meant way too many commercials as well. It was not surprising that the NBA made the change this summer. Reducing the amount of timeouts that can be called in a game and limiting the amount of timeouts that can be called in the last two minutes and overtime. This brings us to horse racing. The obvious parallel here is the notorious post time drag. This is a fairly new phenomenon, first it was only really noticed at one track, and somehow bean counter track executives from all over North America saw this as a money maker, and it really isn't. 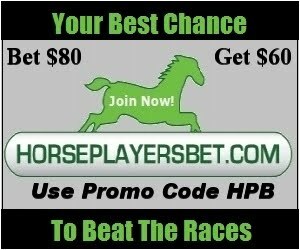 Horse racing, with falling handle (especially when taking inflation and a larger population into account) should be doing whatever they can do to not piss off their customers (By customers, I mean horseplayers, not horsemen, but that is another story). There can't possibly be one bettor on this planet who enjoys post drag. And it really is unnecessary. NYRA, who seems to do things right relative to the industry as a whole, does not participate in post drag, and lately they've been bucking the trend when it comes to handle. Remember track execs, higher handle generally means there are more eyes on your racetrack. If horseplayers know there is no post drag, they will bet earlier. And more importantly, they won't have another reason to be upset. From high takeout to super trainers and synthetic drugs and a few things in between, horse racing doesn't need to give their customers another reason to stop playing. One final thing, thank you Michael Jordan for getting the NBA to go with longer baggy shorts in 1984.